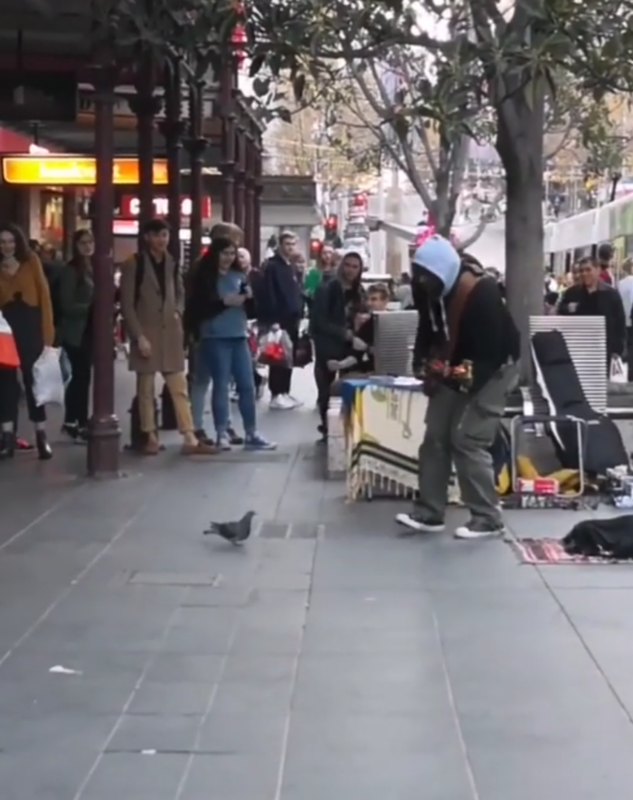 Busker Can’t Believe It When Pigeon Steals Show With Hilarious Dance Moves. 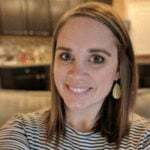 Look, we all have songs that make us tap our toes or get up and dance even on our worst days. It’s like the music takes over and no matter how hard we try, we just can’t sit still. Well, for a little street pigeon, that song is ‘Blurred Lines’. Thankfully, his sweet moves were caught on camera by a passerby. 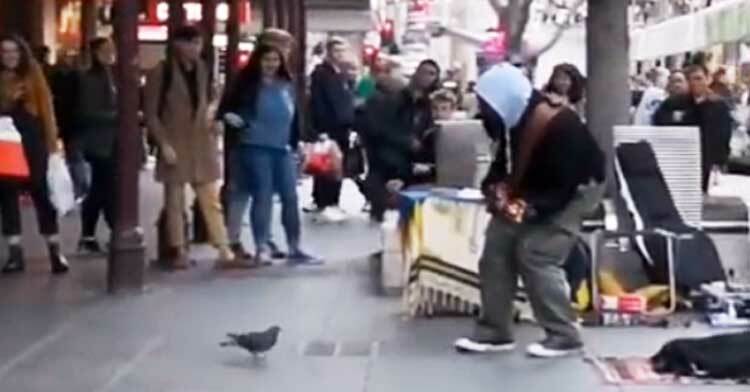 The short (but epic) video, which has been shared across various social media sites, shows a street performer singing the Pharrell and Robin Thicke song as a pigeon looks directly at him. Suddenly, the bird starts hopping along to the music and the crowd is clearly paying more attention to it than to the musician. 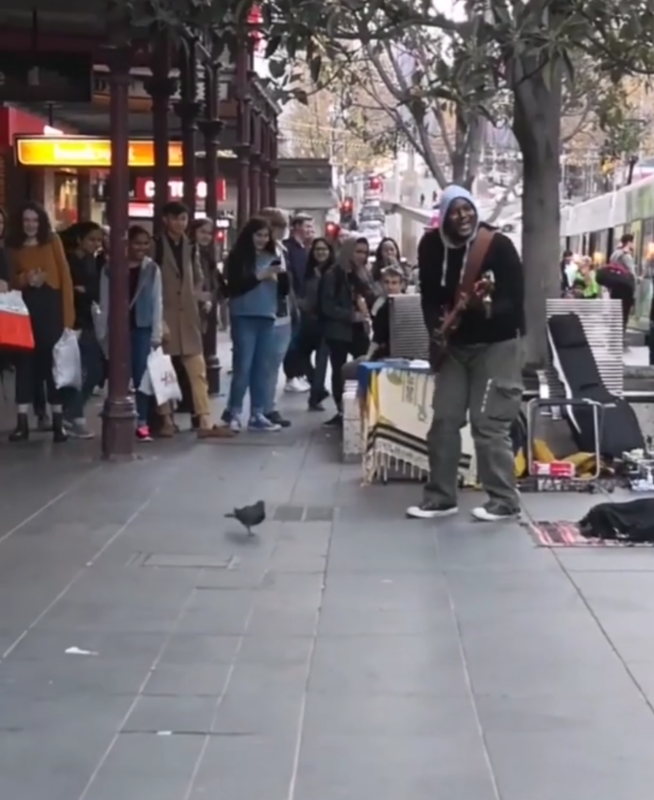 The musician doesn’t seem to mind though, as he quickly directs his attention to the bird too – it seems as though his human audience has disappeared. People on social media are loving the video (who can blame them?!). The biggest complaint is that it ends too soon, since it’s only 15 seconds long. Otherwise, humans everywhere are entranced with the rhythm this talented bird seems to possess. A lot of great jokes have come from the post as well, many renaming the song “Bird Lines” or saying the bird is the “ghost of Marvin Gaye” coming for his royalties (referencing the long legal battle between Gaye’s estate and the singers for copyright). One person made a compelling argument that this could easily be the beginning of a great Disney/Pixar movie (which we’d definitely go see!). All jokes aside, this pigeon is amazing and we hope he keeps on dancing to his little bird-heart’s content! Check out the pigeon’s sweet dance moves in the video below (because trust us, pictures don’t do it justice) and be sure to share it with your friends!